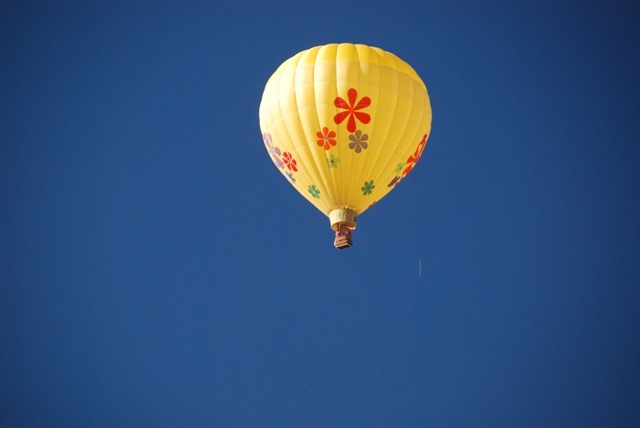 Have you ever seen brightly colored hot air balloons float across a blue morning sky? Or witnessed those same balloons glow in the dark of the evening? It is time to get in and go because the “Eyes to the Sky Balloon Festival” starts tomorrow in Salina, Utah. Salina is located in central Utah at the intersection of I-70 and Highway 89. The Third Annual Event starts Friday, June 18, 2010 at 6:30 am with the balloon launch and ends on Sunday, June 20, 2010 with a final balloon launch at 6:30 am. 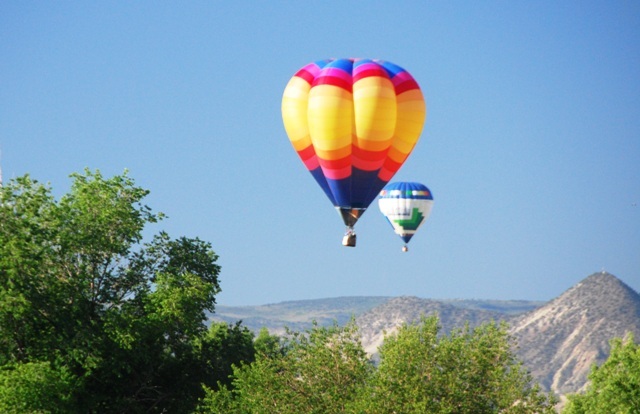 The entire weekend is filled with hot air balloons, contests, concerts, shopping and games. Here is the schedule for the June 18-20 Eyes to the Sky Balloon Festival. Start making your plans now. Looks like a blast to me! Since this is the third year, the festival has gotten bigger and better. There are more hot air balloons and more fun things to do for the entire family. You know the kiddos are going to love the hot air balloons. Who doesn’t? It seems to be miraculous the way those balloons just float across the sky. It reminds me of a scene from a story book where hot air balloons floating across the crops of hay and corn. Do you want to know my favorite element of the balloon festival? At 7:00 in the morning when the balloons are just getting into the air, I just step out onto my patio and watch those colorful balloons drift over my house while eating hot blueberry pancakes. 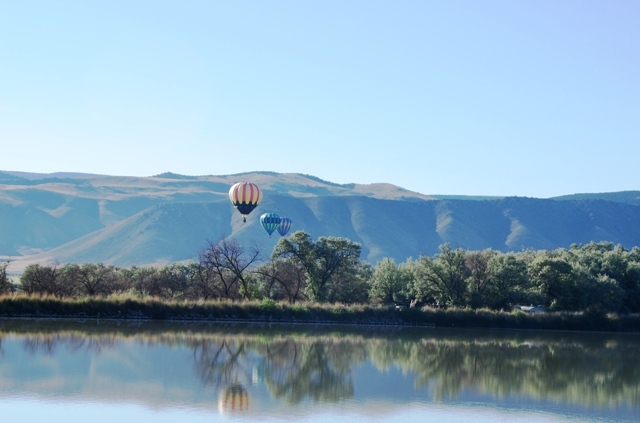 The rest of you should drop everything you are doing this weekend, and Get in and Go to the Eyes to the Sky Balloon Festival in Salina, Utah. If you catch the smell of blueberry pancakes you will know you are almost there.